Lay summary: The second phase of the BTRC funding enabled the appointment of 2 additional post-doctoral scientists and a laboratory manager. Epigenetic and genetic analysis of our brain tumour cell lines revealed a number of altered metabolic and energy reprogramming pathways including arginine biosynthesis, angiotensin signaling and nicotinamide metabolism. These pathways have been analyzed for their therapeutic utility in our in vitro cell line models. Purchase of a hypoxic chamber (incubator with oxygen levels that mimic brain levels) allowed for a more physiological analysis of our brain tumour cell lines. 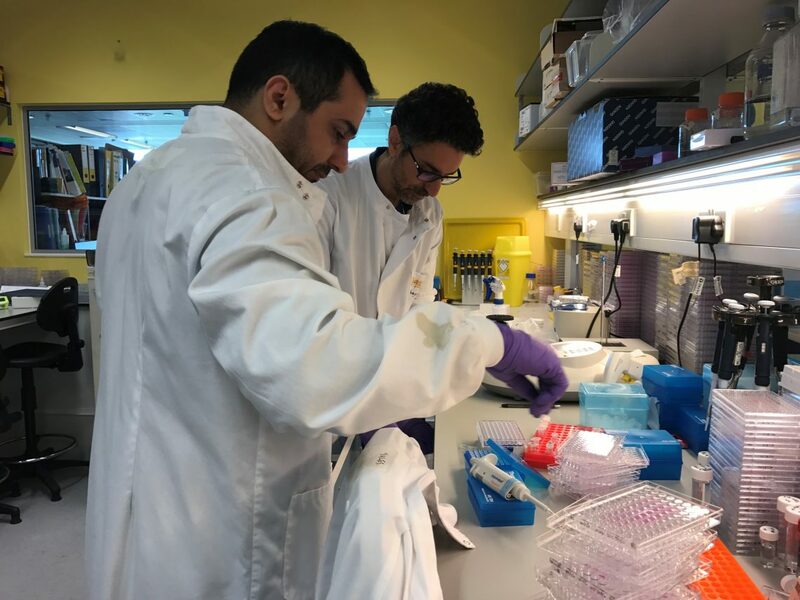 Further funding from the Barrow Neurological Foundation UK (01/01/2014 to 31/12/2016, 189,227.00), allowed us to appoint another post-doctoral scientist and PhD student to validate the identified therapeutic strategies in a larger cohort of brain tumours from the barrow tissue bank.